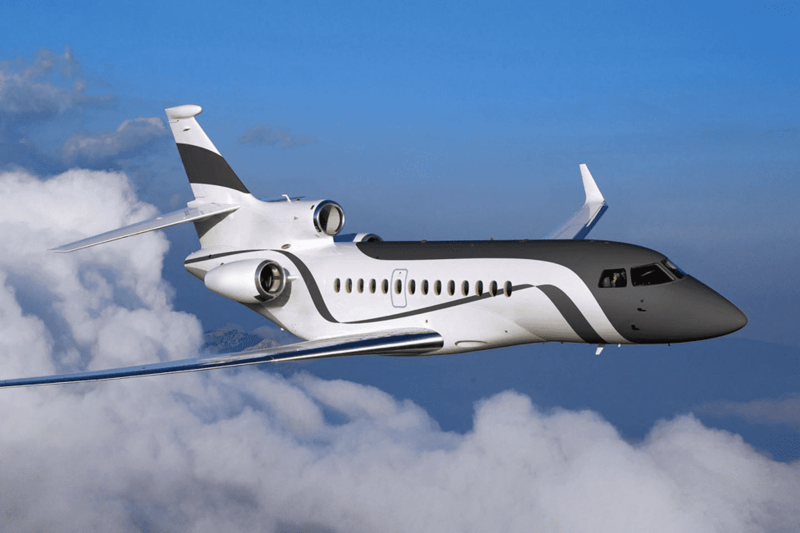 Paving the way for business trijets, Dassault’s Falcon 7X is a revolutionary aircraft designed to provide exceptional performance and comfort. With over 200 Falcon 7X aircraft in service around the world today, the business jet is one of the most popular in the aviation industry. 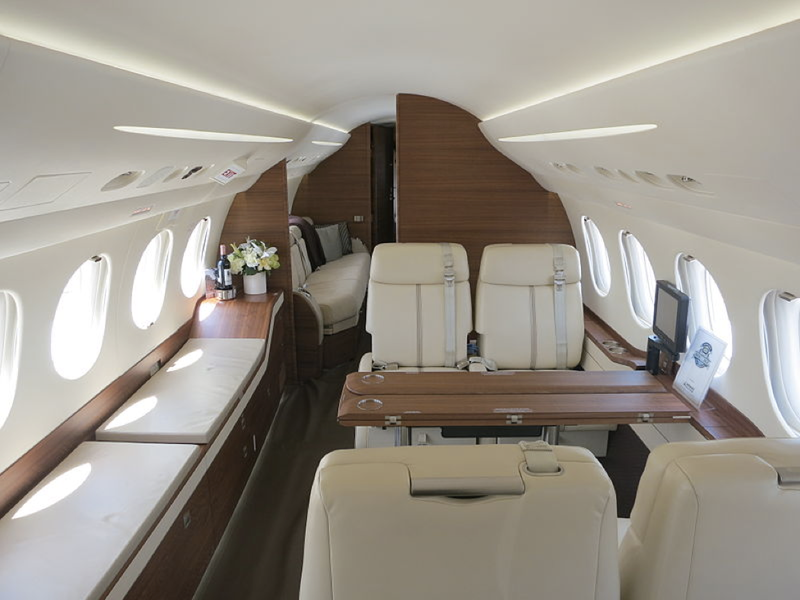 At a total cabin volume of 1,552 cubic feet, the Falcon 7X comfortably seats 12 to 16 passengers in a three zone cabin. 28 large windows span the length of the cabin and provide each living area with plenty of natural light. At 39-feet-long, the cabin also comes equipped with entertainment and connectivity tools in a user friendly format that make working or relaxing a seamless experience. Additionally, cabin air is constantly humidified and refreshed throughout the jet. At 41,000 feet, passengers will enjoy a comfortable cabin pressure of just 3,950 feet and arrive feeling refreshed. As the first business jet to use fighter jet technology, the Falcon 7X is powerful but elegant. It is not only controlled like a fighter jet, but is handled similarly as well. Side-stick controllers assist pilots in seamlessly handling the jet and help decrease pilot workload. The Falcon 7X is powered by three Pratt & Whitney engines, each producing 6,402 pounds of thrust. With the addition of the third engine, the 7X’s range is increased to 5,950 nautical miles and it can travel at a maximum operating speed of .90 Mach. Additionally, the Falcon 7X has a fuel consumption that is 15 to 30% lower than other jets in its class. 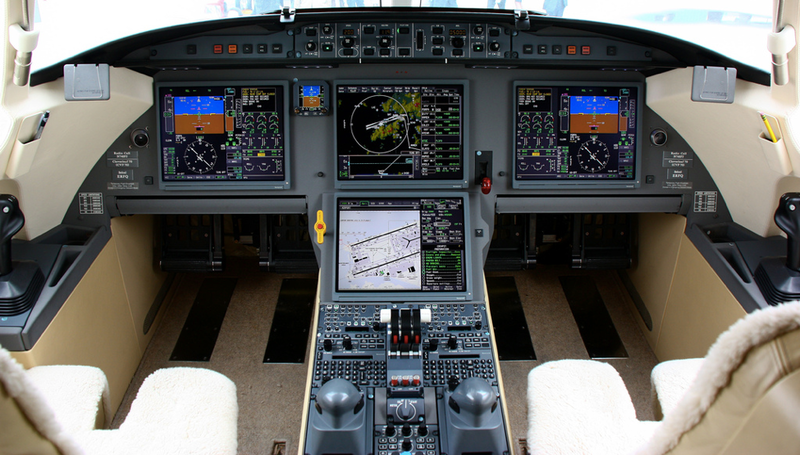 In the flight deck, Dassault Falcon’s EASy system significantly improves situational awareness and safety. Fly-by-wire provides intuitive responsiveness and precision and the Digital Flight Control System offers more precise handling. A favorite within the private aviation community, the Falcon 7X is both powerful and luxurious.